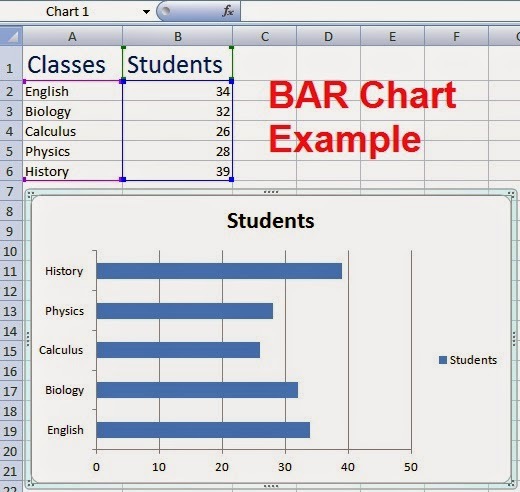 Today, we will discuss How to Create Bar Chart in Excel Easily by Example. A chart is the graphical representation of data. Microsoft Excel provide an easy to use Chart Wizard for this purpose. The Microsoft Excel Chart Wizard guides you on each step to perform the specific tasks and get a brilliant Chart finally. NOTE: You can chose a chart Type as BAR chart which is on number two in chart type list. For this example, here pictures are provided for the default chart type, the first one, named COLUMN CHART. as shown in the following picture. 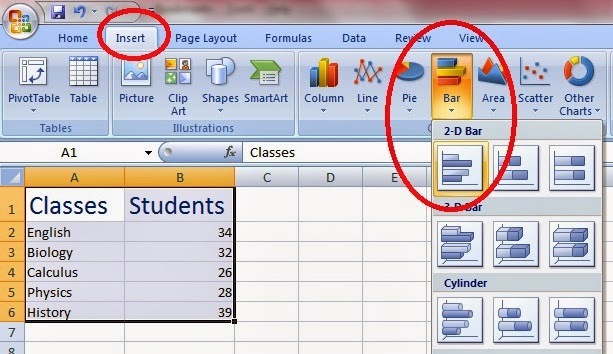 Create Worksheet and enter data to Create Bar Chart in Excel Easily by Example. Select the columns data. If the two columns are adjacent, Select the both columns along with column headings with the help of mouse. If the two columns are not adjacent, select first column by mouse dragging. Now press and hold CTRL button from keyboard and select the other column by mouse. 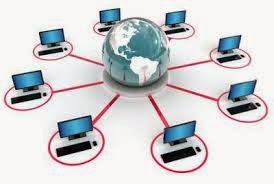 Start the Chart Wizard by clicking on Chart Wizard Tool. Select the type of chart as BAR chart and select the subtype also. Click Next button. In this step enter the name of the chart and titles for the X- and Y-axes. you can also set some other options for the axes, grid lines, legend, and data labels etc. Click NEXT. In this final step select the location to insert chart. Click As new sheet if you wish to insert chart in a new blank sheet. Select As object in if the chart should be included in the existing sheet. 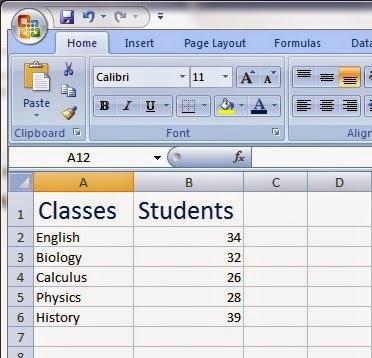 This Excel Tutorial is based on Microsoft Office 2000 - 2003. Type and select the data. In chart group, click on the required chart type. suppose you click on Bar type then a list of subtype options is displayed, select one of it. 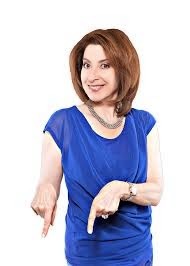 The selected chart will be inserted. You can edit this chart for any modifications.